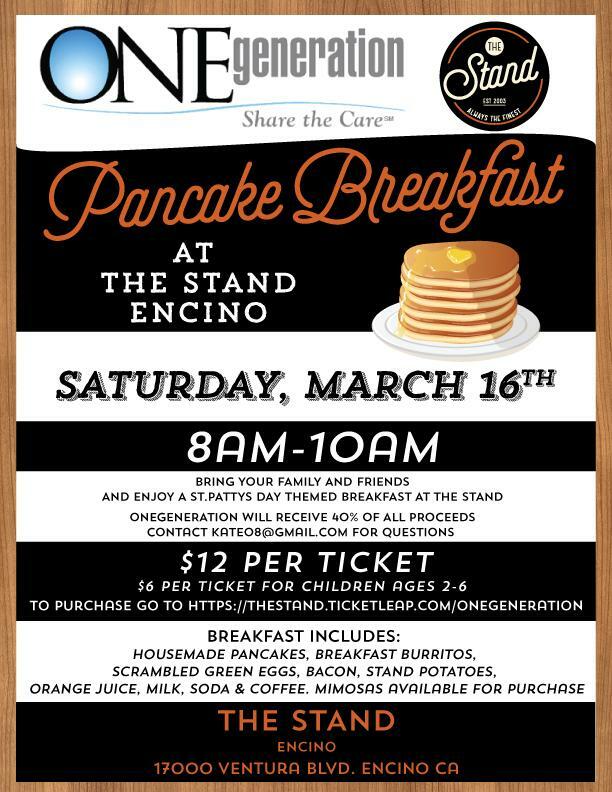 Celebrate Saint Patricks Day and join us at The Stand in Encino for a breakfast filled with FUN(draising), Family, and Good Food to support the youth of ONEgeneration. 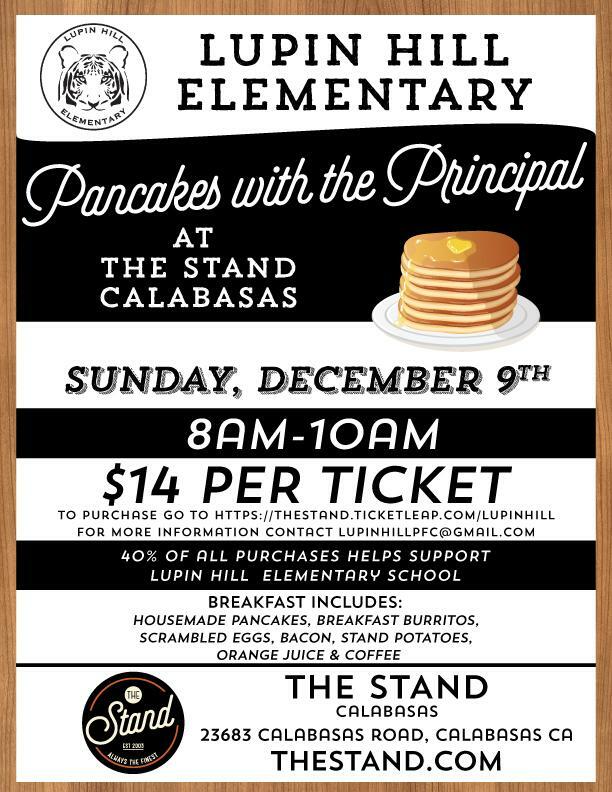 Breakfast includes green eggs, bacon, pancakes, breakfast burritos, stand potatoes, coffee and orange juice. 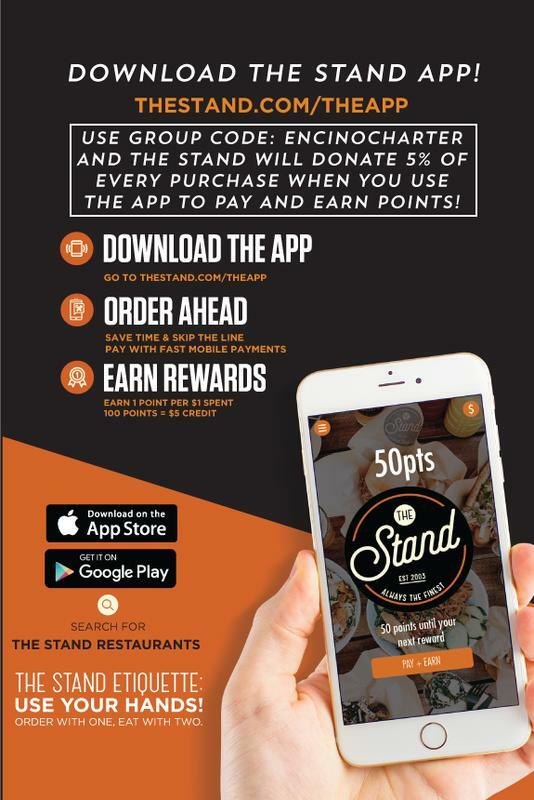 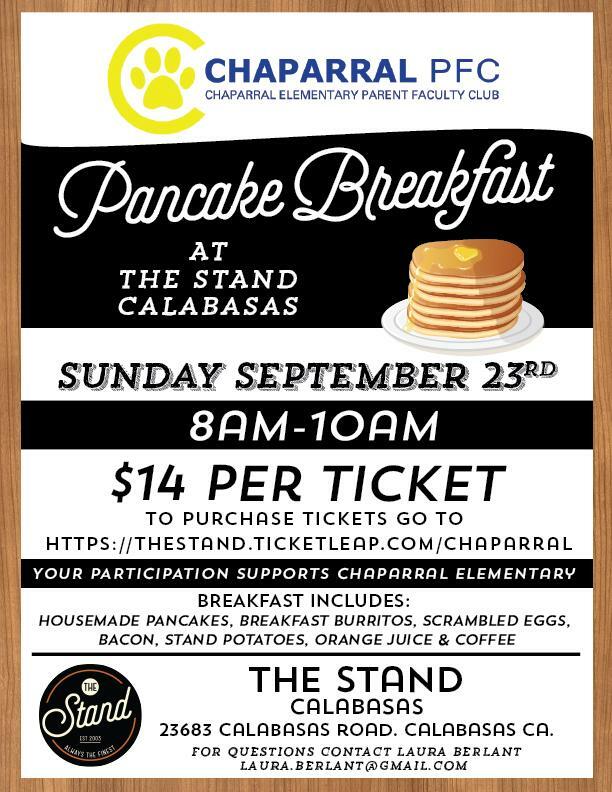 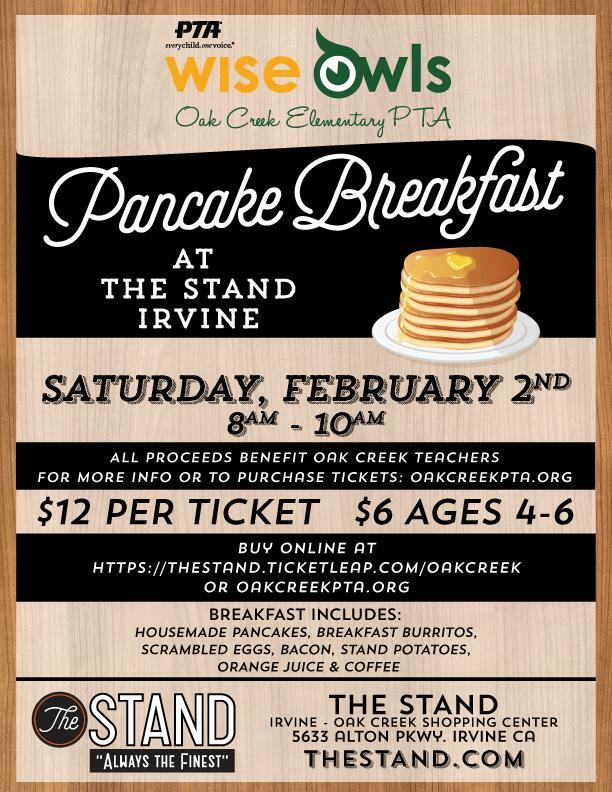 Join us at The Stand in Encino for a breakfast filled with FUN(draising), Family, and Good Food to support the youth of Encino Charter Elementary. 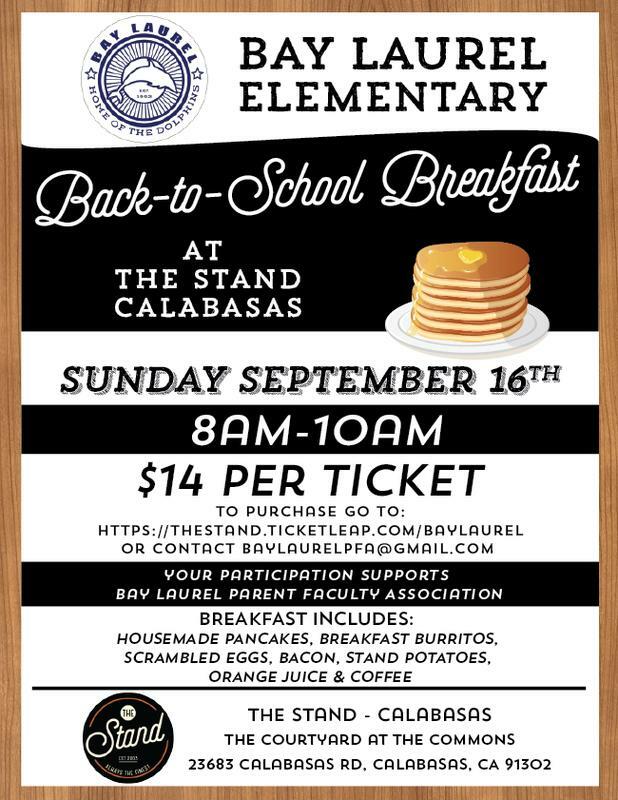 Breakfast includes green eggs, bacon, pancakes, breakfast burritos, stand potatoes, coffee and orange juice. 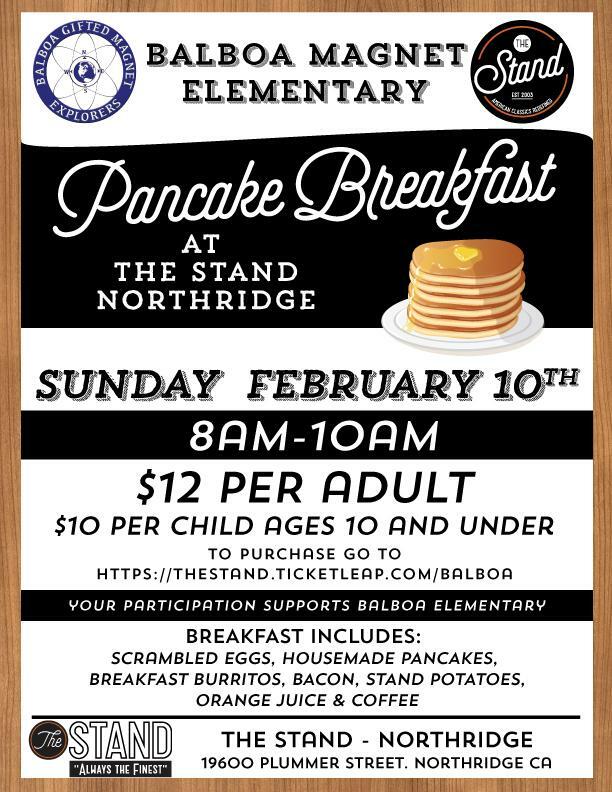 Please join us for a pancake breakfast to support the youth of Balboa Elementary. 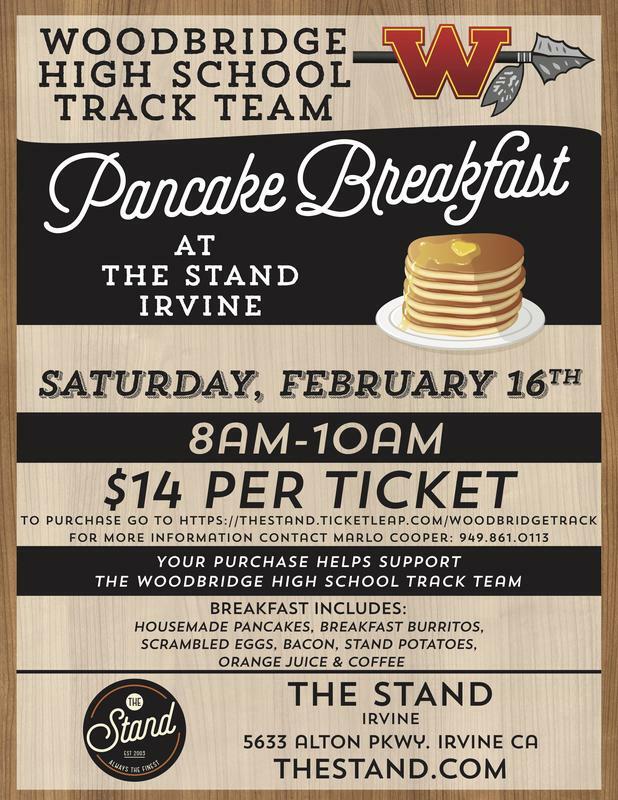 Hosted at The Stand in Northridge, breakfast includes eggs, bacon, pancakes, breakfast burritos, stand potatoes, coffee and orange juice. 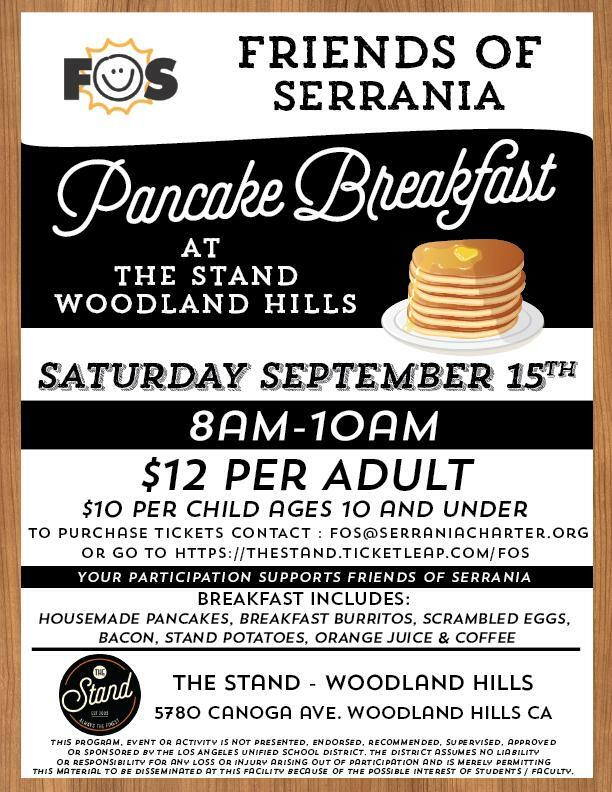 Please join us for a pancake breakfast to support Friends of Serrania, hosted at The Stand in Woodland Hills! 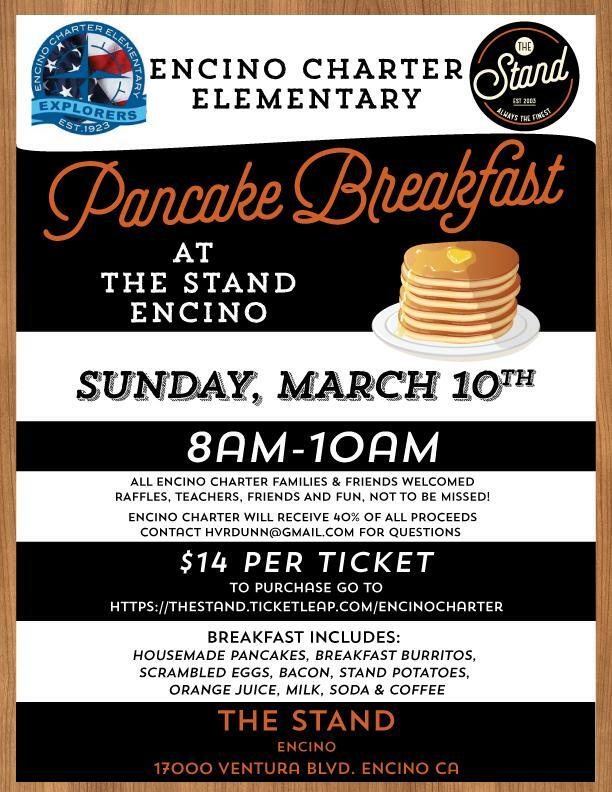 Breakfast includes scrambled eggs, bacon, fresh made pancakes, breakfast burritos, stand potatoes, coffee and orange juice.